Former Indianapolis Colts lineman Jeff Saturday’s case against the City of Cleveland proves a cautionary tale to jurisdictions that reach beyond their constitutional rights. The United States Supreme Court’s decision to not hear Jeff Saturday’s case against the City of Cleveland is a significant victory for all professional athletes. Professional athletes face complicated tax issues, during the year at issue (2008) the Indianapolis Colts, Jeff Saturday’s employer, had games scheduled in 13 different tax jurisdictions. Understanding how Cleveland’s tax policy fits into an athlete’s overall tax picture and how the result of this case effects the tax landscape of an athlete is important for both athletes and their advisors to understand. In this article, I outline why this particular case is significant by, first reviewing the issues within the case, second what effects an adverse decision would have caused athletes and finally reviewing the final decision by the State of Ohio Board of Tax Appeals and reaffirmed by Ohio’s Supreme Court. There are two distinct issues in this case, first did Cleveland properly allocate Jeff Saturday’s income and second can Cleveland tax Jeff Saturday’s income if he never played a game in the city? Did Cleveland properly allocate Jeff Saturday’s income? The City of Cleveland uses a game day allocation formula, which allocated one game out of 20 (16 regular season and four preseason) games or 5% of Saturday’s total salary to the City of Cleveland. Saturday argued the game day allocation formula didn’t fully reflect the true nature in how an NFL player is compensated and a duty day allocation is a better representation as it takes into consideration all days employed. In using a duty day allocation Saturday’s allocation would be less than 1% in the City of Cleveland. Can Cleveland claim that Jeff Saturday’s income is sourced to the city without physical present in the city? The City of Cleveland argued that Saturday’s compensation and more specifically his roster bonus was reflective of all scheduled games in which he was contracted to play and his compensation should be sourced to those jurisdictions regardless of whether or not he actually played in the game. Saturday argues that since he was injured and rehabilitating in Indianapolis and never had physical presence in Cleveland, the city doesn’t have the ability to source the income and tax it. 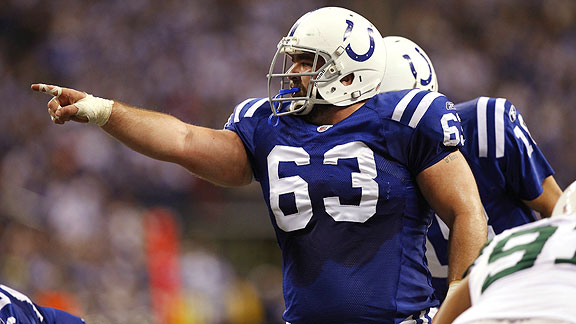 Jeff Saturday’s case has far reaching implications. By not agreeing to hear the case, the US Supreme Court has affirmed the Ohio Board of Appeals & Supreme Court’s ruling against Cleveland’s game day allocation formula and their ability to tax an athlete’s income without any physical or economical presence within the city. In 1992 the Federation of Tax Administrators [FTA] formed a task force that included tax administrators from New York, California, Wisconsin, Colorado, Iowa, New Jersey, Vermont, Virginia and input from the four major league players associations. The task force concluded that states should adopt a uniform formula for apportioning income and that the duty day formula which included compensation paid to a team member for the performance of required service in both the exhibition, postseason and activities as part of a team imposed program, but only if conducted at the facility of the team. Since the release of the FTA’s findings over twenty years ago, nearly all states and cities use the duty day allocation formula in allocating income of nonresident athletes. A ruling in favor of Cleveland’s games day apportionment factor would open the door to jurisdictions apportioning income by different formulas therefore adding confusion, complexity and disproportion allocation of income and potential double taxation on player’s income. In the Supreme Court’s ruling in Quill Corp v. North Dakoda the court held that the Federal Due Process Clause “requires some definite link, some minimum connection between a state and the person, property or transaction it seeks to tax, and that the income attributed to the State for tax purposes must be rationally related to values connected with the taxing State.” It is important to note that presence didn’t need to be physical and in fact could be “economical” presence. A ruling in favor of Cleveland’s taxation of Saturday’s income based on the “economic” activity of his employer in the City of Cleveland would open up the potential of an athlete being subjected to tax in every jurisdiction in which their employer or even the league conducted sales or business regardless of whether or not the player ever performed services there. On December 6, 2013 the Ohio Board of Appeals found that Cleveland’s withholding on a nonresident professional athlete’s compensation based on a games played formula was clearly unlawful because it disregarded entirely all non-game service performed by professional athletes. In addition the Board of Appeals noted that “the fundamental principle that a jurisdiction lacks authority to tax the wages of a nonresident who performs no services in the jurisdiction is wildly recognized”. Furthermore, Cleveland’s taxation of Saturday’s income based on the fact that his employer the Indianapolis Colts played a game in the city and that Saturday was an employee of the Colts. The Ohio Board of Appeals concluded that even if Cleveland had authority to tax a portion of Saturday’s 2008 wages (which it did not) the city’s apportionment of qualified wages” on a games played basis was both illegal and unconstitutional because it taxed income that was not earned for work done or service attributed to Cleveland. On January 14, 2015 the Ohio Supreme Court of Ohio reaffirmed the Ohio Board of Appeals conclusion and held that a professional athlete whose team plays a game in Cleveland but who remains in his home city participating in team mandated activates is not liable for Cleveland municipal income tax. Professional athlete’s already face a complicated tax situation in being liable for non-resident state and city tax in multiple jurisdictions. Cleveland’s ‘Jock Tax’ extended beyond their constitutional right to tax professional athletes. The city’s game day allocation is illegal and unconstitutional because it taxes income that is not earned for work done or services attributable to Cleveland. Had Cleveland’s tax been allowed to stand, it would have opened up the opportunity for even more jurisdictions to do the same, which inevitably would cause undue tax burden on this population.